At Royal Plaza, we’re proud of our heritage, our tradition, and our quality resident-driven care. 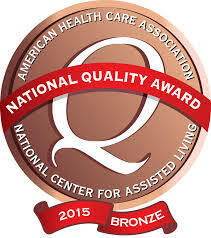 Since opening our doors in 1986, we have become one of the premier skilled nursing and retirement facilities in Idaho. Our full service skilled nursing and rehabilitation facility offers 24-hour licensed nursing, quality CNA staff, and comprehensive therapies to meet your needs. At Royal Plaza, we strive to provide independence, security, hospitality and exceptional service to our senior care residents in Lewiston, Idaho. Our goal is to bring residents, families, staff, and healthcare professionals together to create a senior care environment where residents enjoy living, families enjoy visiting, and employees enjoy working. These are some of the many reasons why our residents enjoy making new memories at Royal Plaza. An elegant social dining room with a fireplace. Dial-a-Ride Bus for scheduled transportation to local appointments.